Is the Mercedes AMG S63 Coupe not powerful enough for you? Well, give it to Brabus and they'll fix it for you. 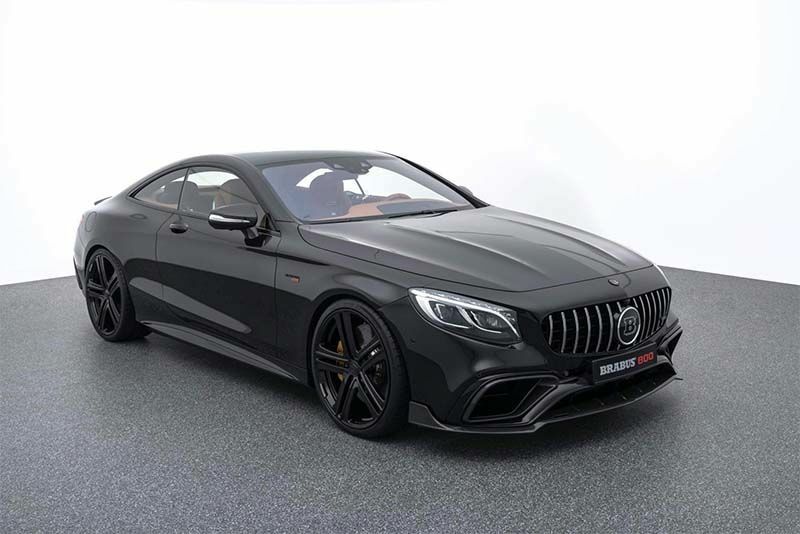 The Brabus 800 S63 Coupe is a monstrous machine and the numbers don't lie. There are 800hp and 1000Nm of torque from its 4-litre bi-turbo which delivers 0-100 in 3.1 seconds and tops out at 300km/h. Having a look around and the most noticeable additions are the carbon fibre front splitter, winglets and intake surrounds up front as well as carbon fibre lip spoiler and diffuser and stainless steel exhaust setup at the rear. The wheel wells are filled with 21inch forged Monoblock M wheels, while the suspension has been lowered on air suspension. There are various interior trim options with the full house from the Mercedes parts bin including dual 12.3-inch displays and the sunroof that can be dimmed or lightened. For US$400,000, it's pretty spectacular in a sinister sort of way.